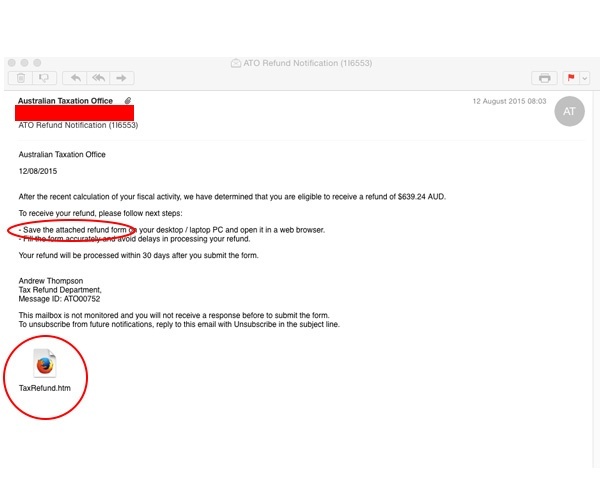 A sneaky new technique is being used to infect Australian computers with malware. 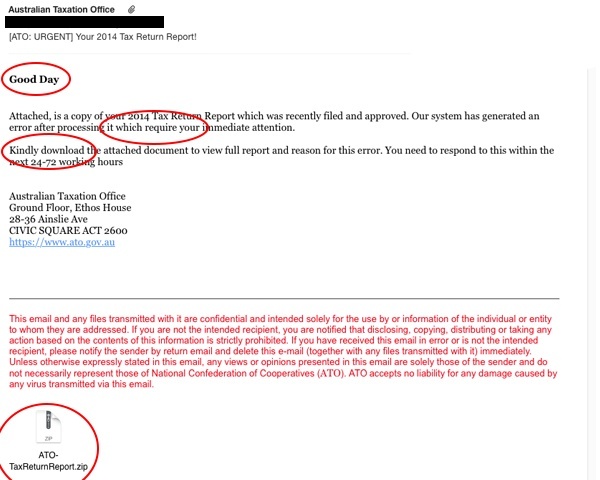 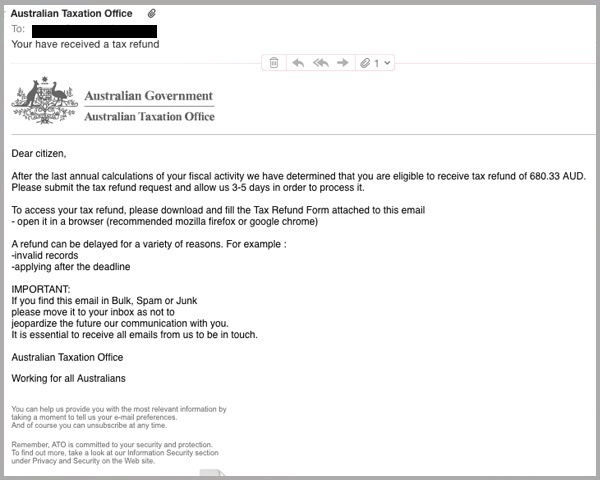 Tens of thousands of Australians have again been targeted by a fake ATO email containing malware. 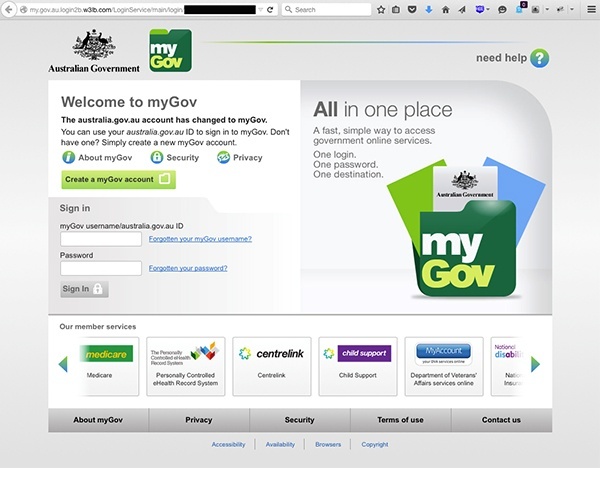 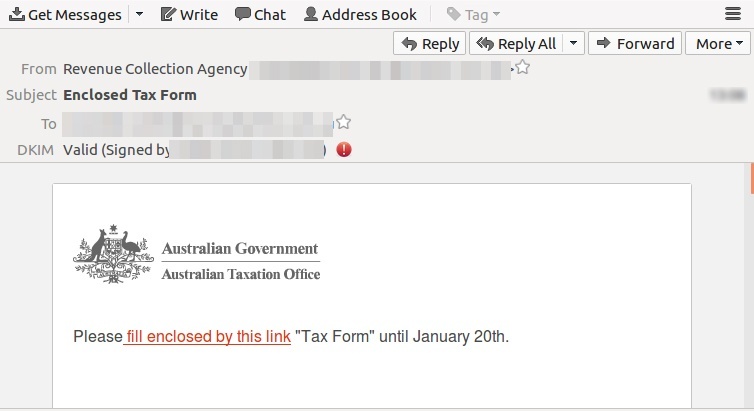 Tens of thousands of Australians are at risk of downloading a virus with a single click thanks to a malware spam email designed to impersonate the ATO. 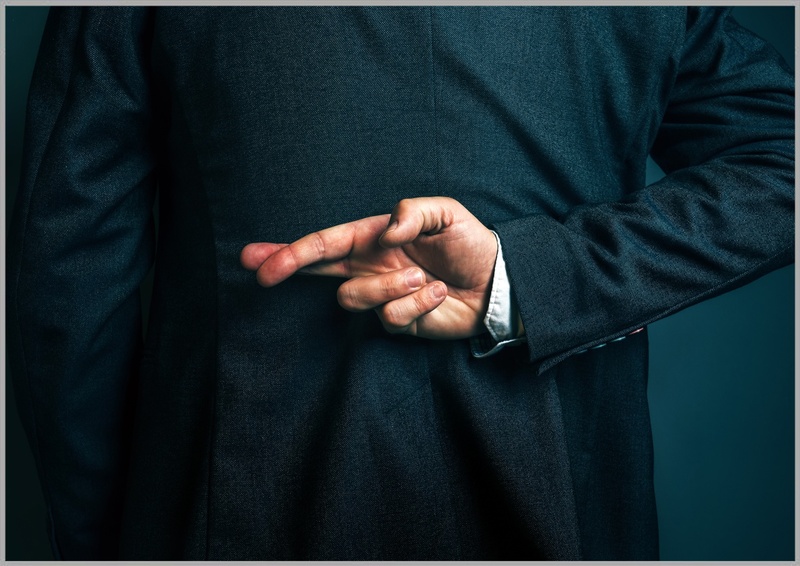 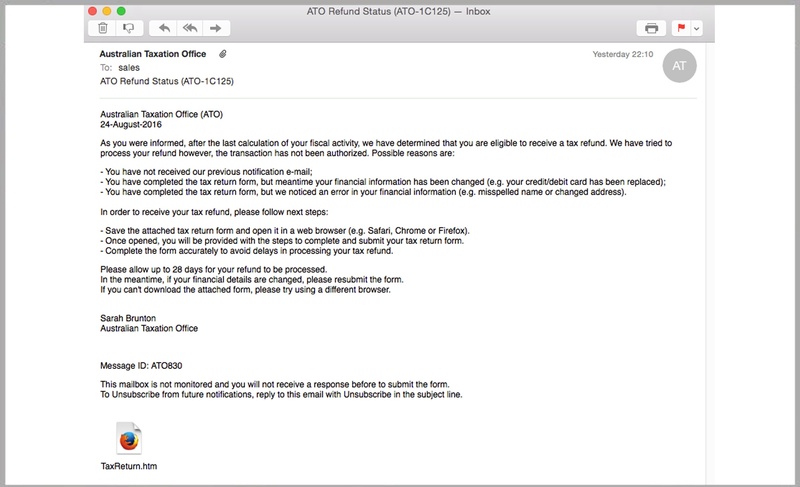 A highly-sophisticated new ATO phishing scam uses the lure of a tax refund to steal Australians’ banking details and personal information. 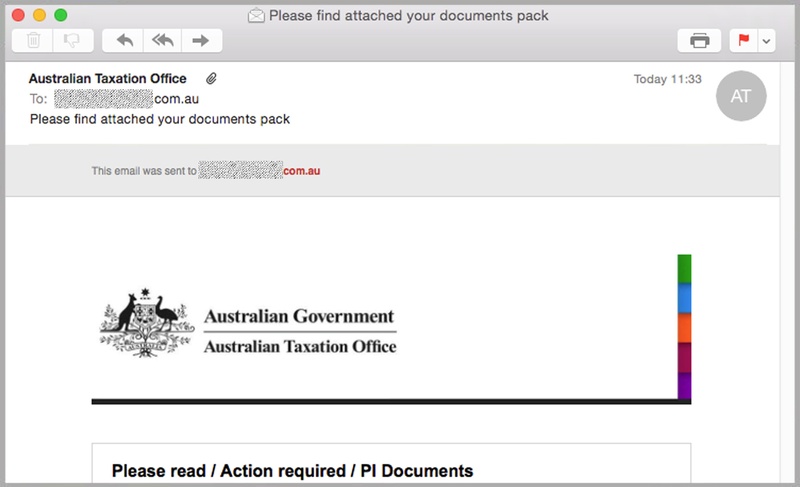 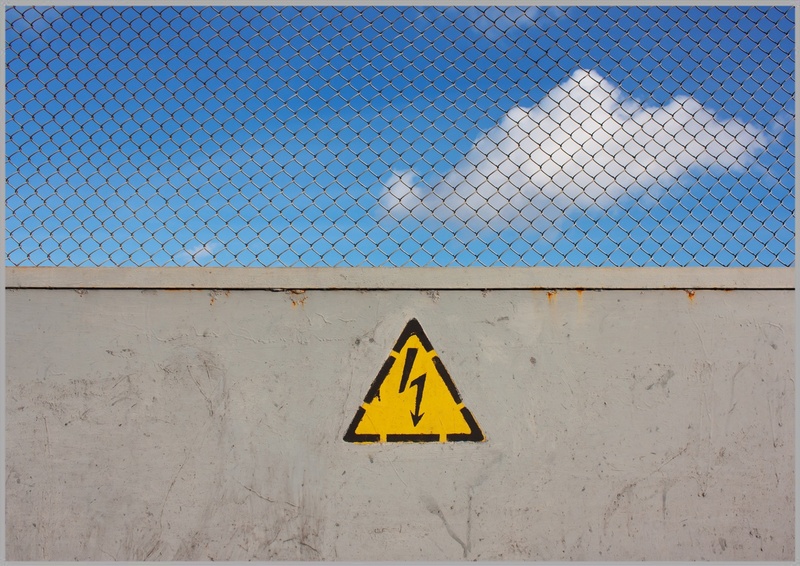 Cyber criminals have launched yet another phishing ATO email scam, which MailGuard has successfully identified and blocked.